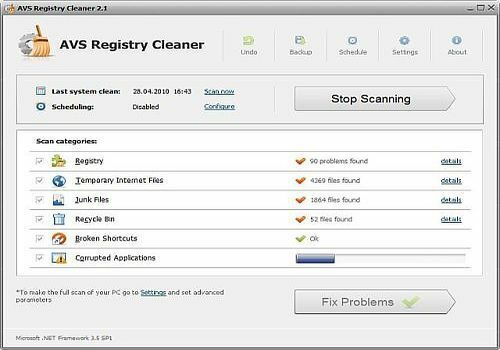 Scan, clean and repair PC registry to speed up computer work. Check and fix shared DLL's, COM/ActiveX, etc. Delete temporary Internet files & trash files. Schedule registry scanner and make backup for maximum safety. AVS Registry Cleaner is a part of AVS4YOU.com package. Register once at avs4you.com and work with all tools from the AVS4YOU.com package. Subscribe for $39/year or $59/lifetime.